Walter Farley Read was born at Murrumburrah, NSW, on 31 January 1894, son of William T and Elizabeth Read. He died on 28 April 1955, survived by his wife. Walter Read lived in Sutherland Street, Paddington. He was the Chief Warden and the Chairman of the Paddington District War Damage Committee in 1942. He was the Chairman of the Mayor’s Distress Fund in 1942 and 1947–48, and Secretary of the Paddington Police and Citizens Boys Club, 1943–44. In 1953 the Walter Read Reserve in Oxford Street, on the site of the Paddington Reservoir, was named for him. 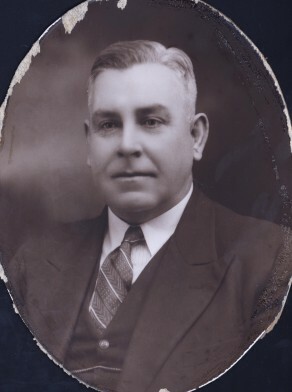 Walter Read was Alderman of Paddington Municipality, 1937-48 and Mayor of Paddington in 1942 and 1947-48. Read was Alderman for Paddington, 4 December 1948 to 1 December 1950. He was a member and Vice-Chairman of the Works Committee in 1949. Read was a member of the Works Committee, 1949-50 and its Vice-Chairman in 1949. He was a member of the Health and Recreations Committee, 1949-1950.